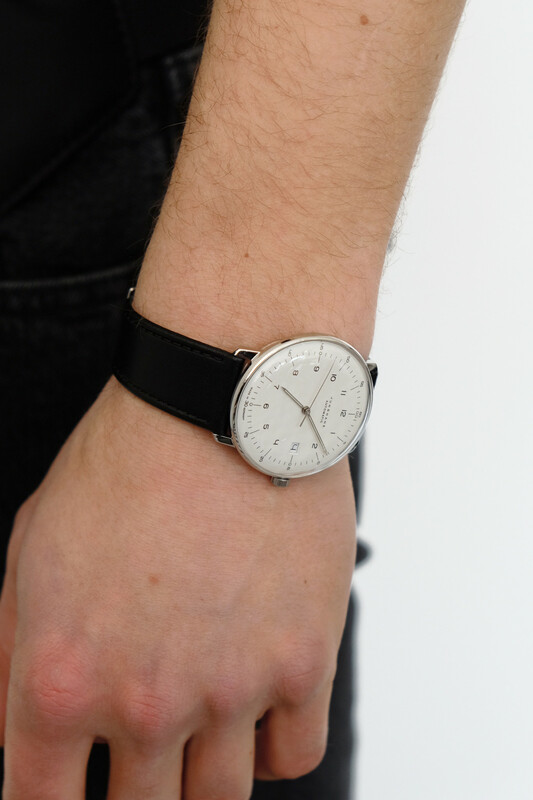 Known for its clean lines and uncluttered design this watch from Junghan's Max Bill Collection features a self winding movement, date wheel, and luminescent hour and minute hands. 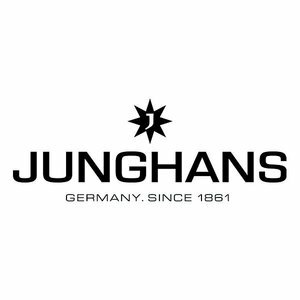 Only select Junghans styles are carried in-store. Most are available to order with only a short lead time. 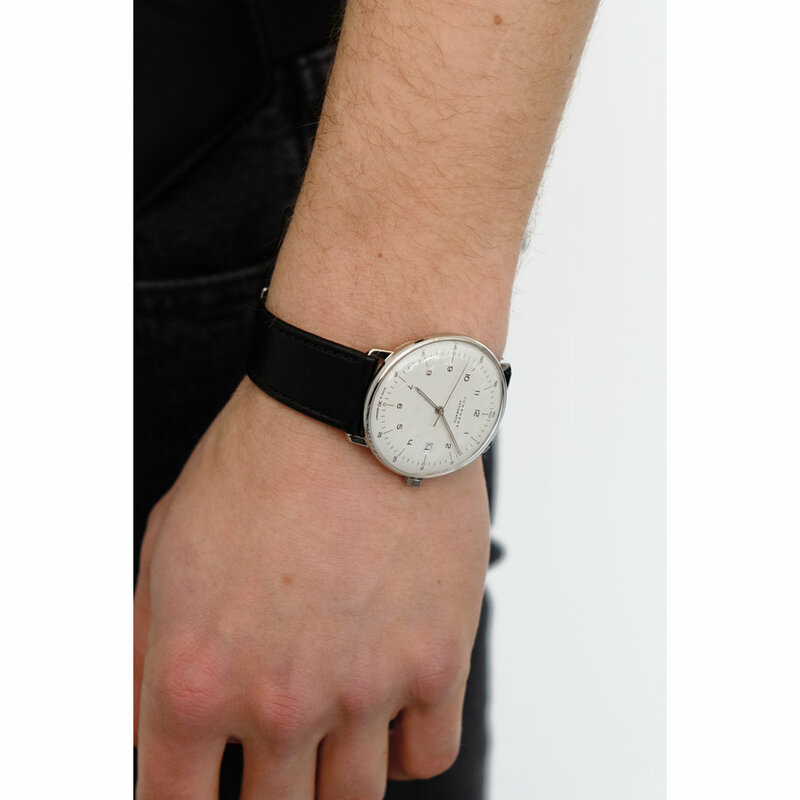 For further details, please chat with us, or call. 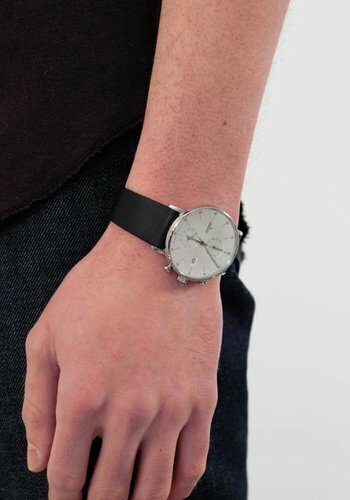 Features: Self-winding automatic movement calibre J800.1, 38 hour power reserve, reference number: 027/4700.00, date, casing of stainless steel, sapphire crystal face, water-resistant up to 5 bar, calfskin strap with stainless steel buckle. 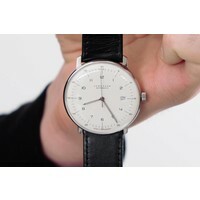 All Junghans automatic watches are final sale and may not be returned or exchanged. Known for its clean lines and uncluttered design the Max Bill collection from Junghans merges precision german watchmaking with one designers concept for a more perfect wristwatch. 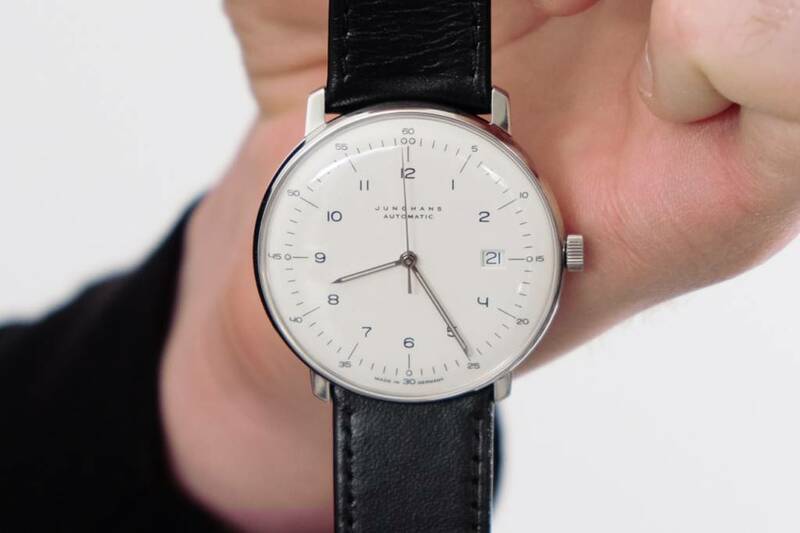 Max Bill is known as an architect, painter, and sculptor, however to watch enthusiasts he is the creative force behind this iconic collection of automatic watches from Junghans.